Hey Everyone! Happy 2019, and the crowds are busier than ever with tourists and locals spending their vacations in the parks! 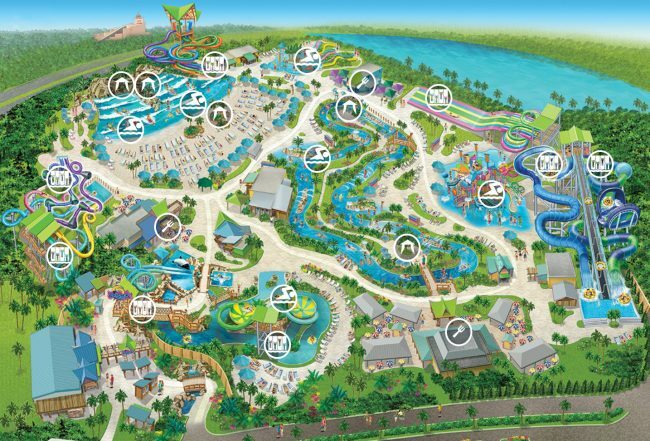 Aquatica is my all time favorite water park because of the landscaping, the cleanliness of the park, but most importantly, the SLIDES! So after parking, I go in, scan my pass, get my locker and off I go onto the slides! When I go to Aquatica I usually get changed and then I go get my tube for the O’maka Rocka’s! Once off the Taumata racer its time to head over to the Walhalla Wave for an insane family raft ride! You can see parts of the Taumata Racers from the top! Now its time for the newest attraction, and my favorite slide at Aquatica, Ray Rush! After this slide, we left because it got really busy, every slide was above a 65-minute wait and we did the rides we wanted to do. In a few weeks it will be “off-season” and will be an awesome time to go!